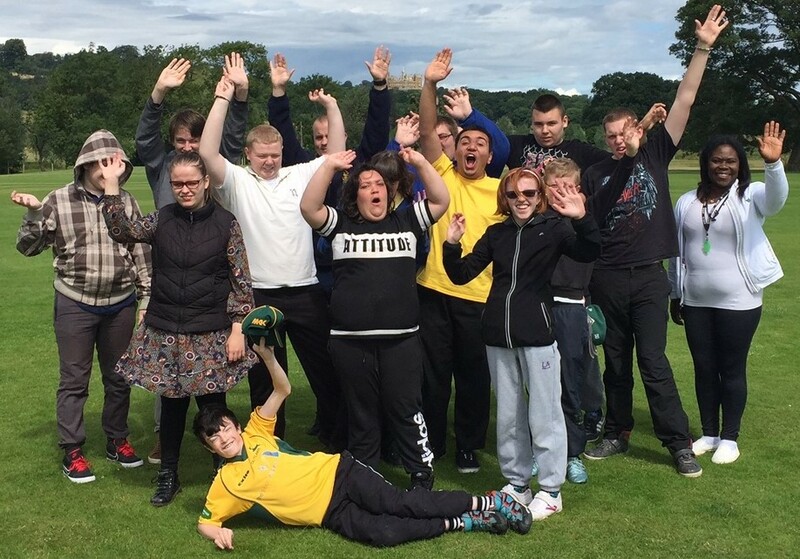 We are pleased to announce our new three year grant to Belvoir Cricket & Countryside Trust, who work to influence children’s lives through sport and education; encouraging healthy lifestyles through sports participation and enhancing the educational opportunities for local able-bodied and disabled school children. The Belvoir Cricket & Countryside Trust was set up in 2008 and is a registered charity focused on getting young people active and engaged in the rural countryside and in sport. In the nine years since the Trust was formed we have reached over 16,000 youngsters from mainstream & special schools and local rural communities. Rural isolation is a significant issue for many. This is often addressed by a focus on the elderly – but our youngsters and young families will re-generate rural areas. There is also a significant issue around the mass departure of young people from the countryside. Leicestershire, Nottinghamshire and Rutland make up the bottom 3 rural areas in the country for students not returning as referenced in the Commission for Rural Communities site. The commission has produced papers on the Big Society, Children in the Countryside and Extended Services for Rural Schools. 27 days are run through the summer term offering mainstream & special schools the opportunity to come to the Castle Estate and take part in a morning of cricket coaching followed by an afternoon of interactive sessions with local ‘countryside’ workers such as a farmer, woodsman, gamekeeper and huntsman. The programme fills a gap in the provision of education for primary school children as identified by the Countryside Alliance who believe that outdoor learning should be a part of every child’s education. The Trust delivers a six-week winter programme of Kwik and Table Cricket to children with learning and physical disabilities in 15 schools in Nottinghamshire, Lincolnshire and Leicestershire. Following the coaching the schools are invited take part in a schools’ table cricket competition linked with the Nottinghamshire and Leicestershire County Cricket Boards and the Lords Taverners. In July, the schools attend a Cricket and Countryside School Day at the Belvoir Castle. The children take part in a cricket session led by Trust Chief Executive Darren Bicknell and a team of coaches in the morning. In the afternoon’s, they are taken up to Belvoir Castle to take part in countryside educational activities; learning from local people such as farmers, gamekeepers and huntsman while also seeing birds of prey, gun dog and fishing demonstrations. A 20-week programme which runs through the summer at 7 rural small towns & villages providing regular 90 minutes’ activity on a weekly basis whilst delivering high quality coaching giving children from 4-11 years old the opportunity to play sport and learn & develop new skills. We develop local adults into becoming volunteers in the coaching programme and aim to involve all members of the family in the activities through social interaction in a rural community. This is a 3-week programme of cricket coaching delivered in 20 local primary schools, all of which were outside the boundaries / catchment for the well-known Chance to Shine project. We give schools access to high quality coaching to enhance their delivery of the National Curriculum and the opportunity to develop their staff through CPD training. Our volunteer programme recruits, trains and mentor’s local community members to deliver cricket and/or education to youngsters. The Trust Director delivers training workshops for our cricket volunteers enabling them to deliver cricket coaching to children. The Trust gives focused skills training for the specific needs of the Trust projects – without getting bogged down by administration/qualifications.